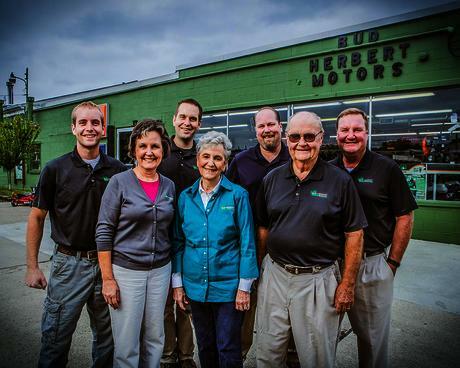 Bud Herbert Motors Inc. is a fifth generation family business serving greater Cincinnati for more than 100 years. Bud purchased the business from his father in 1950 and was joined by his sons Jerry and Tom. The 1970s and 80s saw the addition of grandson’s John and Jim Herbert, in addition to granddaughters Connie and Cindy. Bud Herbert Motors Inc. has grown into the premier supplier of home and commercial outdoor power equipment in Cincinnati and continues to offer the quality and service that only a family owned and operated business can deliver. Through it all, we have learned to focus on family and that our success as a business relies on our ability to work together.